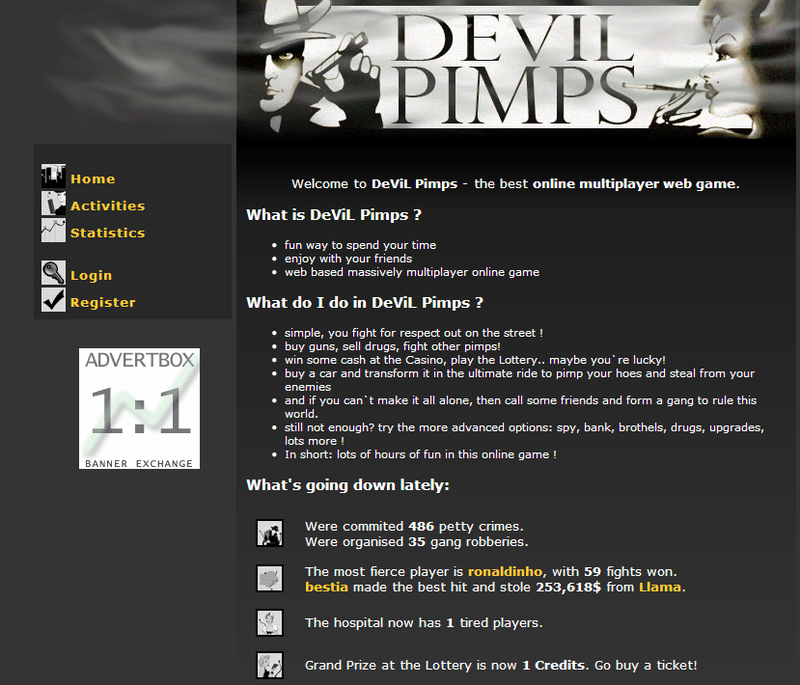 DeViL Pimps, fun way to spend your time, enjoy with your friends, web based massively multiplayer online game. You fight for respect out on the street ; Buy guns, sell drugs, fight other pimps! Win some cash at the Casino, play the Lottery. Maybe you`re lucky! 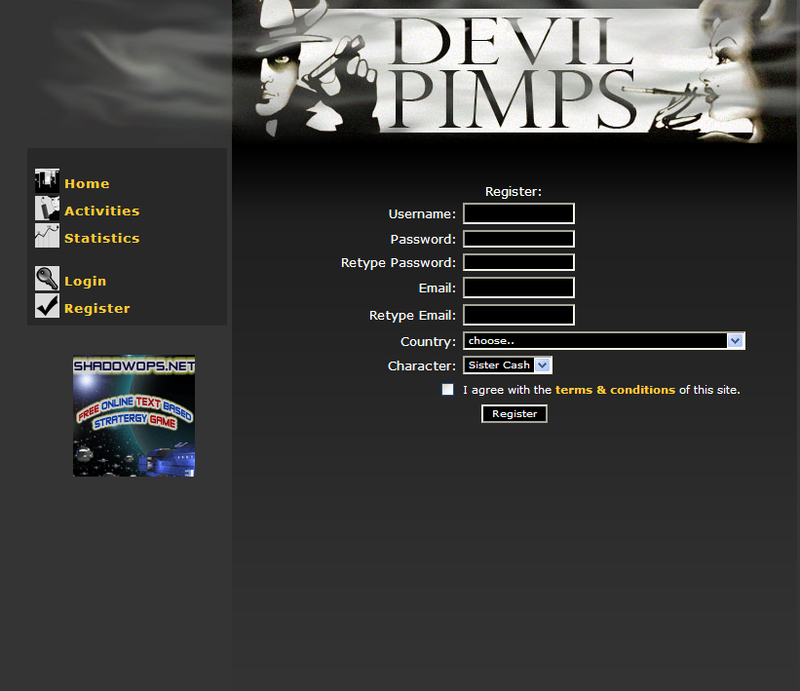 Buy a car and transform it in the ultimate ride to pimp your hoes and steal from your enemies; In short: lots of hours of fun in this online game!